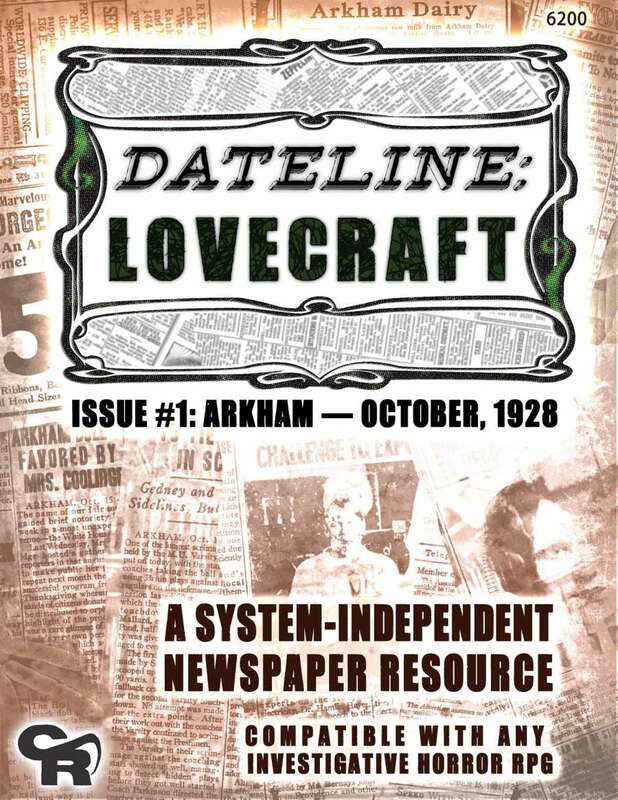 If you’ve been intrigued by Dateline: Lovecraft, our vintage-newspaper-themed supplement for any Lovecraftian RPG, today is your chance to pick it up half price. We are today’s “Deal of the Day” on DrivethruRPG. As I write this, you still have a bit over 15 hours to snag the PDF at the lower price. While you’re on DTRPG, why not also grab the free (or Pay-What-You-Want) scenario supplement that we put out as a sample of the add-ons we’d *like* to create for Dateline: Lovecraft? This scenario, written by awesome Jo Kreil, was also recently reviewed over on this site (in case you’re curious about what it’s all about). This entry was posted on Friday, November 30th, 2018 at 11:24 pm	and posted in Dateline: Lovecraft, News & Updates. You can follow any responses to this entry through the RSS 2.0 feed.